Welcome to the website of the Czech Spotted Dog Community! We are a group of friends, owners and breeders of Czech spotted dogs. Our activity is focused on the propagation of this Czech national dog breed, helping all friends of this breed to meet up, and organising “spotted” activities, such as group walks, meetings, sporting activities and annual weekend camps. As dog owners and breeders, we want to achieve international recognition of our breed by the World Canine Organisation – FCI. This goal can be accomplished only by responsible breeding of functionally healthy dogs with a physical constitution and mentality typical for the breed. In summer 2013 Bohemian and Moravian Cynological Union accreditted our community for breeding. Czech Spotted Dog is a Czech national dog breed which has not yet been recognized internationally. It is a medium sized companion dog with a cheerful temperament, non-aggressive, very sociable with humans and with other dogs; it adapts perfectly to all ways of life. Its popularity is increasing, because of its friendly, joyful and loyal character and also because of its four different types of coat that everyone can choose according to their preference. The hair is always of three colours, black-and-tan with white or brown-and-tan with white; white patches are always with ticking. Dogs of both colour versions can be short-haired or long-haired. The history of the Czech spotted dog is well known. The breed had a very unhappy background – its history started at 1954 at the laboratories of the Czechoslovak Academy of Science’s Institute of Physiology, where it was used as a laboratory dog for medical and surgical research. Fortunately, the Czech spotted dog is not a laboratory animal anymore. After the end of the use of the dogs in laboratories, the breed quickly became a popular family dog that is a wonderful source of joy for all of its fans. The Czech spotted dog is very lively and loves activity. Together you can try any dog sport you would like. 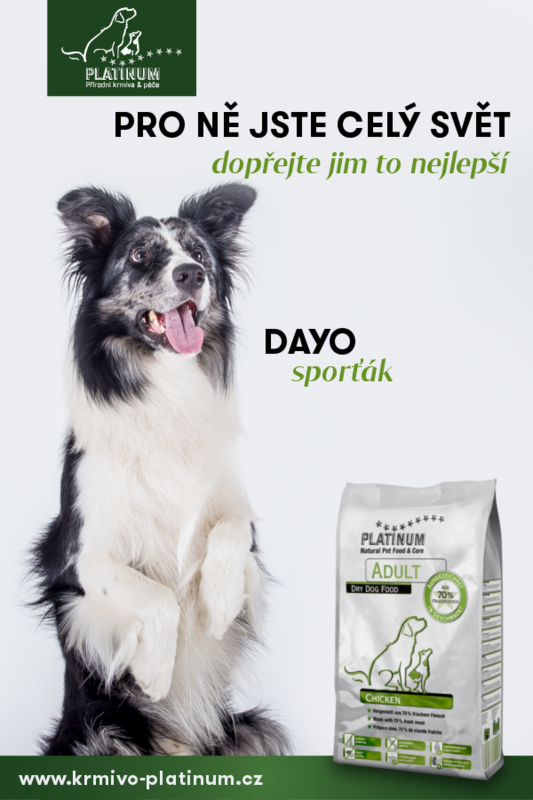 Many owners of Czech spotted dogs report success in agility, dogtrekking, utility dog trials, obedience, therapy dog training, dog-frisbee and other activities. Want to become an owner of Czech spotted dog? Ask our breeding advisor – vanourkova@seznam.cz. She knows of all the puppies born or yet unborn (and planned to be bred). In September we traditionally organise a weekend meeting with Czech spotted dogs and their owners. Over a hundred dogs and their families enjoy a weekend full of activities, walking and talking together, and fun!